The timing of your credit card payment affects how quickly the payment is applied to your account. You may need the payment to post to your account within a certain timeframe to clear up some available credit. For example, you may want to make a large purchase on your credit card so you pay your balance down to make room for the payment. The amount of time it takes for a payment to post to your credit card account depends on how you pay, when you pay, your credit card issuer, and your bank. Electronic payments made online or by phone will post to your credit card account faster than a mailed check, obviously because you don’t have to wait for the mail to reach your credit card issuer. Since payment posting and processing times can vary by credit card issuer, the best way to figure out when your credit card payment will post to your account is to contact your credit card issuer. They’ll be able to give you a precise answer. If you already have a pending payment, your card issuer can let you know when you can expect that payment to post to your account. When Will an Online or Phone Payments Post to Your Account? While electronic payments are faster, they’re not instant. It can take 1 to 3 business days for an online or phone payment to post to your credit card account and reflect in your available credit. That’s because payments made using a checking account and routing number are processed in batches overnight and not in real time. Payments made on Friday nights or over the weekend may not post to your account until the following business week. When Will a Mailed Payment Post to Your Account? Mailing your credit card payment takes the longest to post to your account. First, the credit card payment has to be delivered to your credit card issuer. The payment processing center has to open up hundreds of envelopes, retrieve payments, and post the payments to each account. Holidays can delay the posting time. If your credit card is linked to your checking account, that is both accounts are with the same bank, your credit card payment may post to your account instantly and reflect in your available credit right away. Even though your credit card payment may not reflect in your available credit immediately, as long as you submit the payment information online (or by phone) by the cut off time on the due date, your payment will be considered on time. However, if the payment is returned by your bank, for example, because you don't have enough money in your account, you’ll be charged a returned check fee up to $35. To guarantee your payment posts to your account by a certain date, it’s better to make the payment a few days before you need the available credit. Or, if you need a certain amount of credit available to make a purchase, contact your credit card issuer to ask that a phone payment post to your account right away. You might also consider asking for a credit limit increase. You may qualify if you’ve used your credit card responsibly, you have a good credit history, your income can support a bigger credit limit, and it’s been enough time since your last credit limit increase. 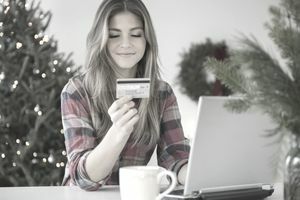 Alternatively, your credit card issuer may allow you to temporarily exceed your credit limit for the purchase, especially if you’ve already made a payment that’s waiting to post to your account. What Creditors Means By "Pay an Account Current"